Alexandria, Egypt’s second capital, is a true Mediterranean jewel that hovers between illusion and reality, between substance and poetic images, it’s the city developed from a mere anchorage to “The Pearl of the Mediterranean”. Alexandria has first come to existence when the young Macedonian leader, Alexander the Great, chose it to become the capital of Graeco- Roman Egypt in 332 B.C. It wasn’t only an ancient Egyptian center for learning, but it was also a historical setting that witnessed the stormy relationship between Mark Antony and Cleopatra. 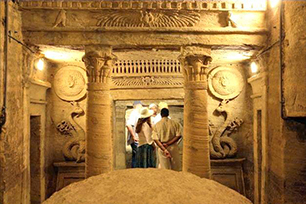 including a platform for funeral rituals, the second level was the main tomb with various surrounding corridors, magnificent statues, decorations on all proper places, images, ornate carvings and practically everything needed for a funeral hall while the third level is submerged in ground water and saturated with sand. The large number of grooves cut in the rock. Probably the catacombs were used for a single wealthy family as a private tomb and later converted to a public cemetery. 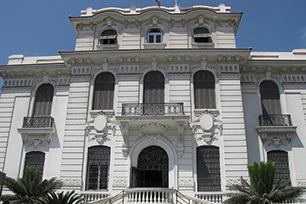 The museum was officially opened in 1892 by Khedive Abbas Helmy the Second. 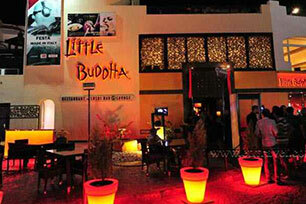 Initially the museum was just a small building located on Horreya Road. 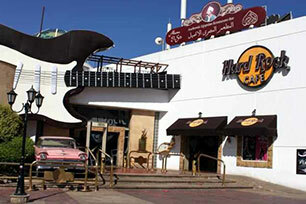 In 1895 it was transferred to the present site near Gamal Abdul Nasser Road. It has been gradually enlarged in later renovation stages. The museum contains a variety of statues, bas reliefs, pottery, jewelry, coins, marble pieces & other artifacts, all of which gives a picture of grandeur of Alexandria in its Greco- Roman era. 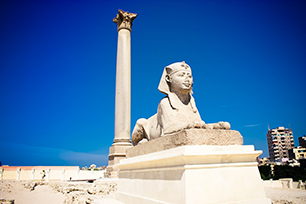 Pompey Pillar is the tallest ancient monument in Alexandria (26.85 m height). It is Greek in style and made of red granite that came from Aswan. Even though it is known to the modern world as Pompey's Pillar, It was actually built in 297 AD, commemorating the victory of Roman emperor Diocletian over an Alexandrinian revolt against the Roman rule. Diocletian entered the city ordering a counter siege, but part of the result was a massive famine which he resolved by providing food for the residents and exempting them from paying taxes during their economic crises. It was believed that the ashes of the Roman general Pompey - who was murdered in 48 BCE - was once stored in a pot on top of this Pillar. At the upper part of the base an inscription in Greek that says: "To the most just Emperor, tutelary of Alexandria, Diocletian, the invincible. Posthumous the prefect of Egypt". 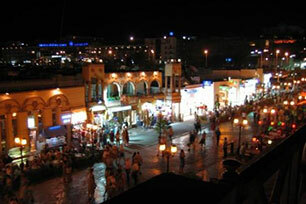 The National Museum of Alexandria as inaugurated the 31st of December, 2003 by President Hosni Mubarak. The Museum is housed in a restored Italian-style palace (Al-Saad Bassili Pasha Palace, built 1926) with three floors. It contains about 1.800 artifacts that narrate the story of Alexandria and Egypt. 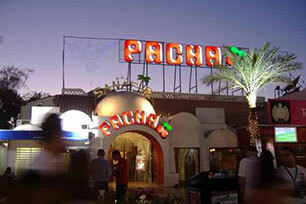 The first floor is dedicated to the Pharaonic period. 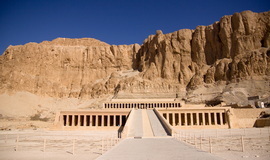 Its walls was painted in dark blue walls reflecting the Egyptian symbolic color of the afterlife. This floor contains several notable statues and There is also an interesting replica of the sort discovered in the Valley of the Kings, complete with a mummy and original funerary treasures. The middle floor represents the Greco-Roman era during which Alexandria flourished. This level includes figurines of Greek women and a majestic bust of the bearded god Serapis in addition to archeological underwater excavations in Alexandria. The third floor displays Coptic, Islamic and Modern eras. There are icons of Christ and the Virgin Mary, carved tombstones and clothes with silver and gold crosses. Notable among the Islamic objects are 162 coins minted in Alexandria and religious supplies such as incense burners, chandeliers and pottery. 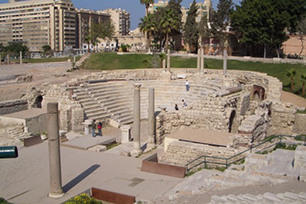 The Roman Amphitheatre is located in the modern area of Kom El-Dikaa in Alexandria. It is the only known amphitheatre for Roman Era in Egypt. 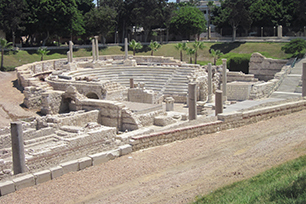 It took over 30 years of excavation until many Roman remains were uncovered among them this well-preserved theatre with galleries, sections of mosaic-flooring, and marble seats for up to 800 spectators. suggest that it was sometimes also used for wrestling contests. 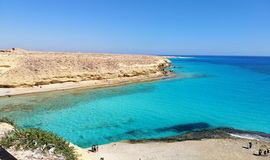 Experience the North Coast of Egypt in an exciting road trip from Cairo to Alexandria, passing by Alamein to Marsa Matruh to Siwa and more. 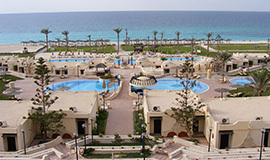 Let us take you on a journey across beautiful Egypt to experience the diversity it has to offer. 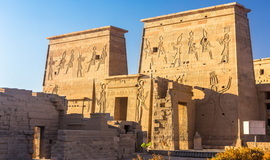 From cruising the Nile from Luxor to Aswan, followed by a visit to Cairo and Alexandria; to unwinding by the Red Sea, under the shining sun in Hurghada. 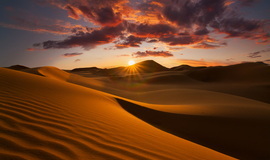 An expedition in search of excitement; start off the fun from Cairo, to Alexandria, to the Sahara. 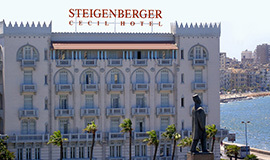 Adventurous mornings, with lots to see and discover, followed by glittering stars at night.